Four arm oak leaf wall light. 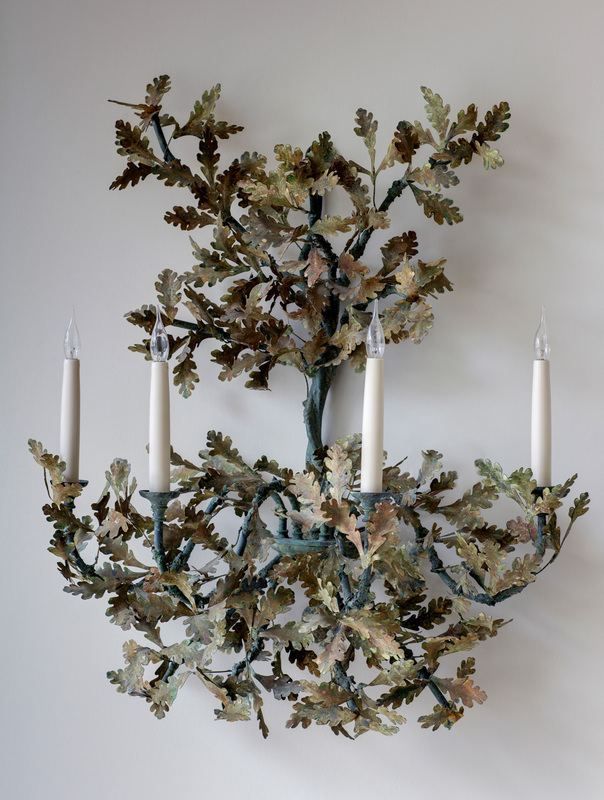 Made to order, hand crafted and coloured metalwork oak leaf design wall-light with four arms. Please contact Charles Saunders should you wish to enquire about this item. The wall-light can be electrified for any country. Please note that Charles Saunders is the agent for this wall-light designed and made by Cox London.